Hon. 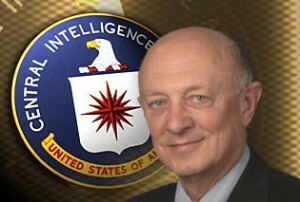 R. James Woolsey: former. Director of Central Intelligence, former. Ambassador to the Negotiation on Conventional Armed Forces in Europe in Vienna, 1989–1991; Under Secretary of the Navy, 1977–1979; Chairman of the Foundation for the Defense of Democracies. The Islamic Republic of Iran now looms large as one of the greatest threats to the National Security of the United States. From the current status of its nuclear weapons program, to its policy of expansionism in Latin America, to its murder of American troops in Iraq and Afghanistan and its acts of terror on every inhabited continent, Iran is a strategic adversary of the United States and its allies on every level and in every theater. EMET has convened a panel of some of the best Iranian experts to discuss the threat posed by Iran, its strategic and ideological thinking, and what can be done to confront and defeat this challenge. This is a joint event of the Endowment for Middle East Truth and the Center for Security Policy.